Mega Lounge is mega fun! We We traveled all the way to California to bring Ohio, Michigan and Indian one of the most unique party options on the planet. Yes, THE PLANET! 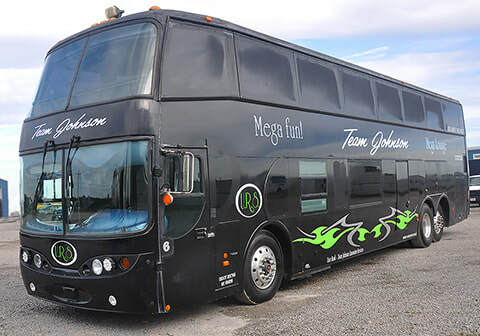 Toledo Party Bus and Limo brings you The Mega Lounge. 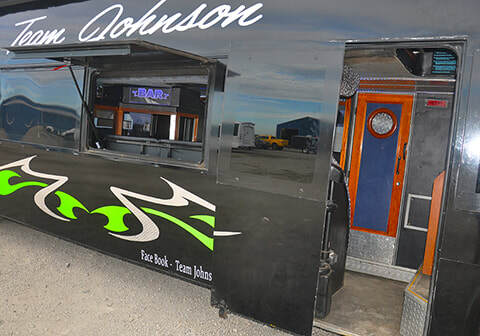 Two decks, full bar, restroom, bartender service (if requested) and even a slot machine! Just imagine your next tailgate at the Horseshoe in Columbus, Ohio or the Big House in Ann Arbor. Gather up all the Browns, Bengals, Lions or Steelers fans you know and take the Mega Lounge to your next NFL game. We have special ticket packages available to all of the region's pro and college sports destinations. We do the driving while you party down - or up. 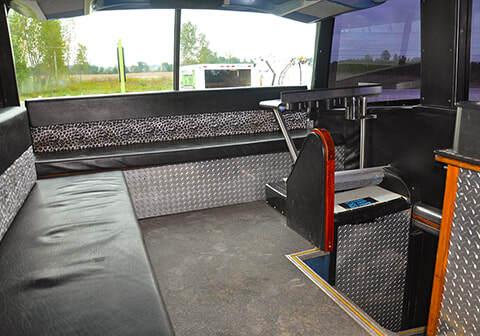 This is a two story mobile party bus exclusive. This Mega Lounge is going to be mega fun and if your party is one of the first 10 to reserve your trip, we'll give you one hour FREE, (minimums apply). Call 419-318-1714 to reserve your party. The Mega Lounge has a seating capacity of up to 70 people. 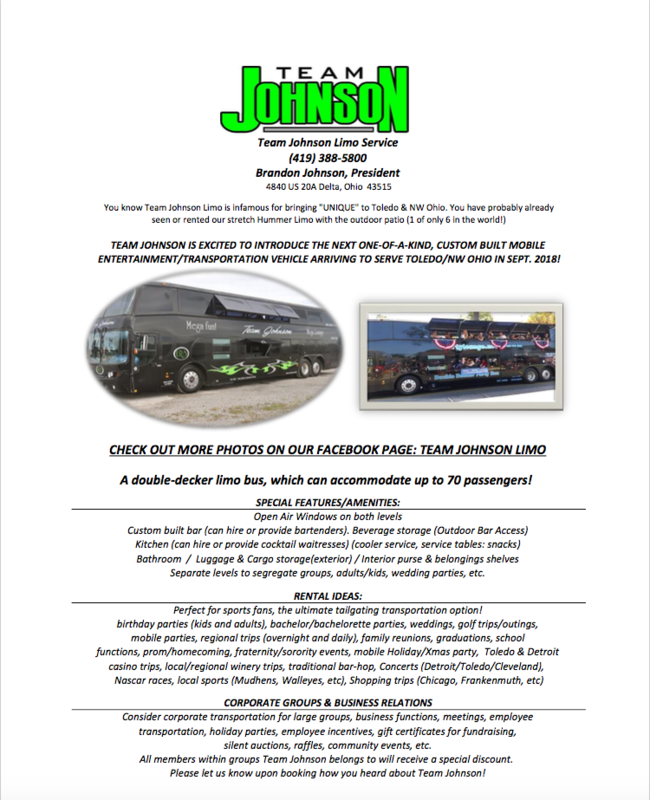 Team Johnson can provide bartender service as well as a certified baysitter, for those of you who want to include children in your travel plans. Just think; the kids play and are entertained on the first level, while the adults do adult things on the upper deck. Where else can you find that? Uh...no where. One of the really cool ideas we heard about was a mobile, family reunion that traveled to a destination (think Cedar Point or Kings Island), spent the day at the park with family and returned to the Mega Lounge to recharge, eat and drink. 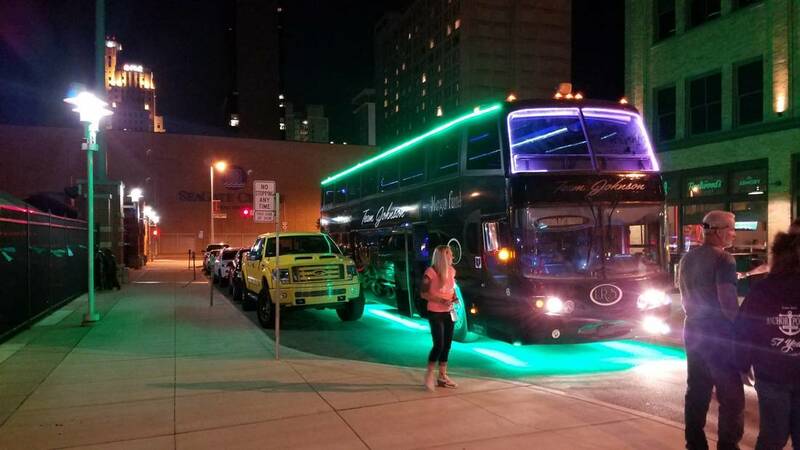 Call us at 419-318-1714 to reserve your spot on Toledo’s only double decker party bus. 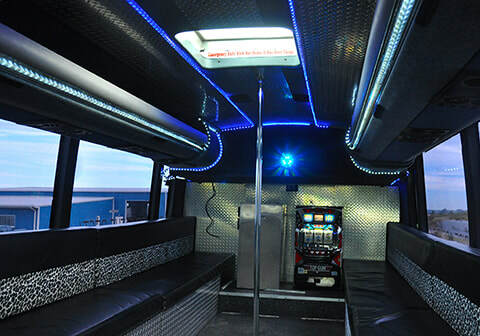 Let Toledo Party Bus and Limo pick you up and provide safe professional, chauffeur driven transportation for your excursion. At the end of your event, we’ll take you home safely. 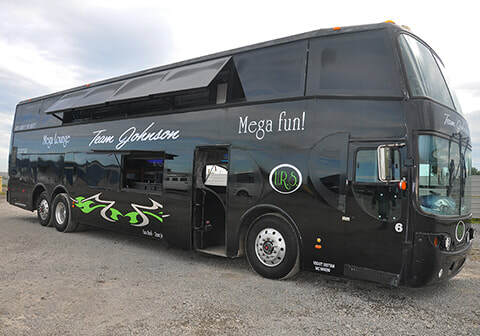 We are super proud to bring the Mega Lounge Double Deck Party Bus experience to all of our friends in Toledo, Findlay, Lima, Ft Wayne and Southeast Michigan. 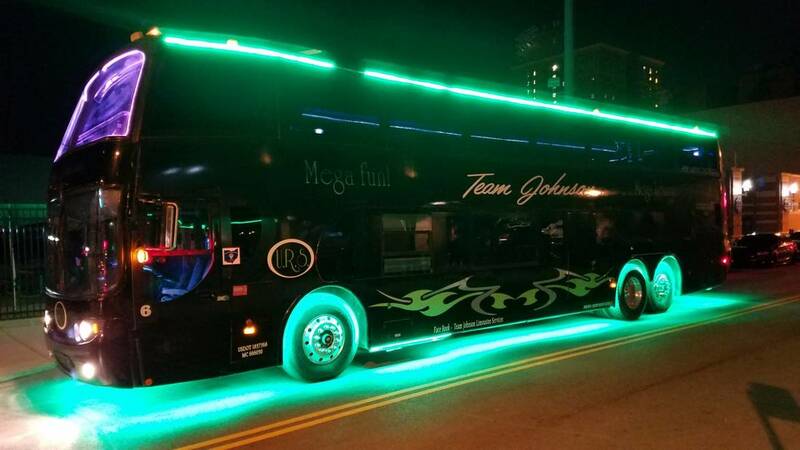 You won't find anything like this Party Bus in Detroit, Chicago, Cleveland, Cincinnati or Columbus. 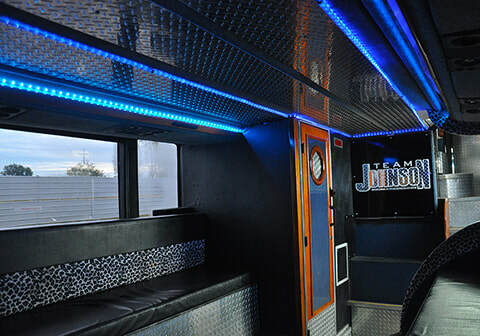 Onlt Toledo Party Bus and Limo has the Mega Lounge. Book it today!